No, really, you are. 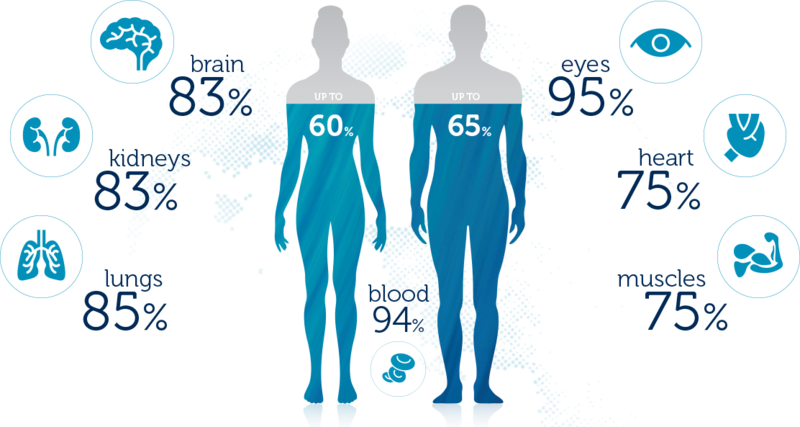 The human body is 50%-75% water, depending on a person’s age (children are made of more water while elderly people are made of a bit less). Sure, you’ve probably heard something like that since grade school, but think about it. It’s pretty staggering. And it goes a long way towards explaining why water is so important to us mostly-liquid beings. In general, if we should lose more 3% of our water content, we become dehydrated. If we lose 20% of our water content we won’t just dry up like a piece of Melba ® toast, we’ll probably cease to exist. Fortunately, we have water. 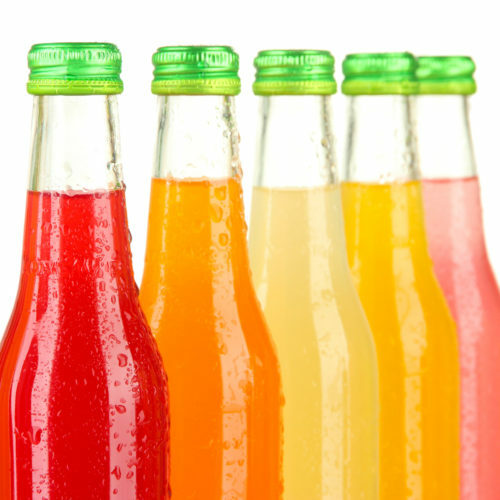 Water helps regulate and maintain body temperature. Water transports nutrients and oxygen and removes waste products and toxins. It moistens and lubricates your mouth, eyes, nose, hair, skin, joints, and digestive tract. 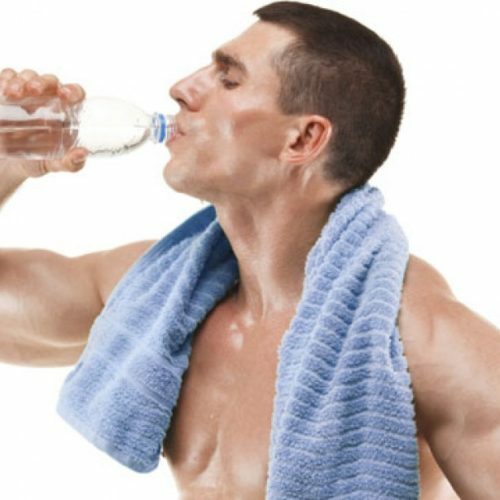 If your body doesn’t get enough water you risk dehydration, elevated body temperature, fatigue, decreased mental & physical performance, and heat-related illness. 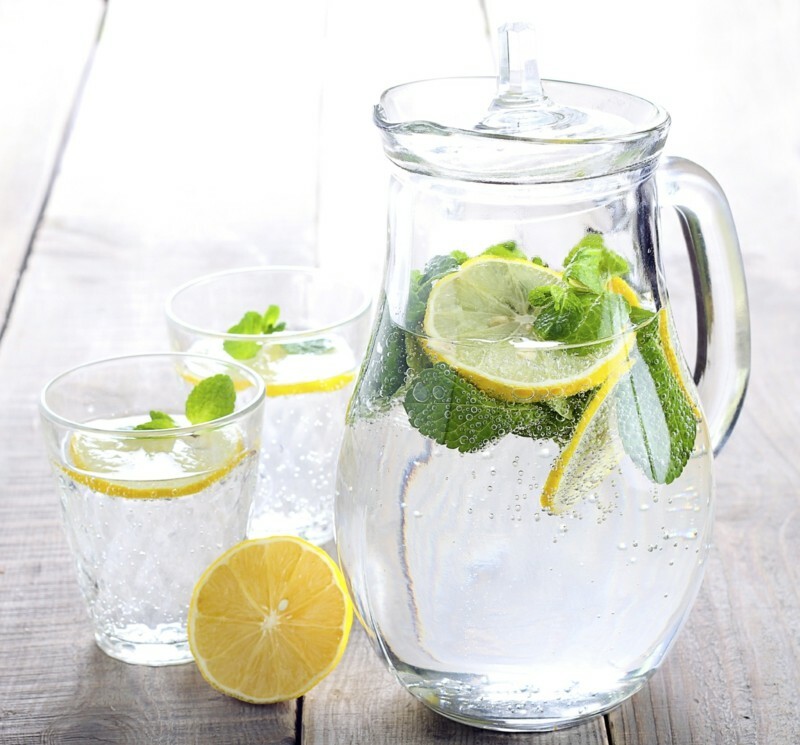 The old rule of thumb is to drink at least 8 x 250ml glasses of water spaced evenly throughout each day. However, it’s hard to tell where that rule originated. A landmark study by the National Academy of Science in 2004 set recommendations for women’s bodies at approximately 2.7 litres of total water (from all foods and beverages) and approximately 3.7 litres for men daily. That sounds like a lot of water, doesn’t it? Well, it’s not that much when you consider that about 20% of our water intake comes from food. Of course, it’s always good to have some water handy to ensure proper hydration. Let your thirst be your guide. Also remember that physically active people and people that live in warmer climates should drink more water than the average person to stay properly hydrated and operating at peak performance. There is also some evidence to suggest that a moderate increase in water intake can decrease the risks of some cancers, heart disease and other illnesses in certain people. However, be sure to ask your doctor about your own personal/family history and risk factors. Water is indeed good for everybody and every body.